Jocko is a retired U.S. Navy SEAL officer, co-author of the #1 New York Times bestseller Extreme Ownership: How U.S. Navy SEALs Lead and Win, host of the top-rated Jocko Podcast, and co-founder of Echelon Front. Every leader must be ready and willing to take charge, to make hard, crucial calls for the good of the team and the mission. Something much more difficult to understand is that, in order to be a good leader, one must also be a good follower. This is a dichotomy; a Dichotomy of Leadership. 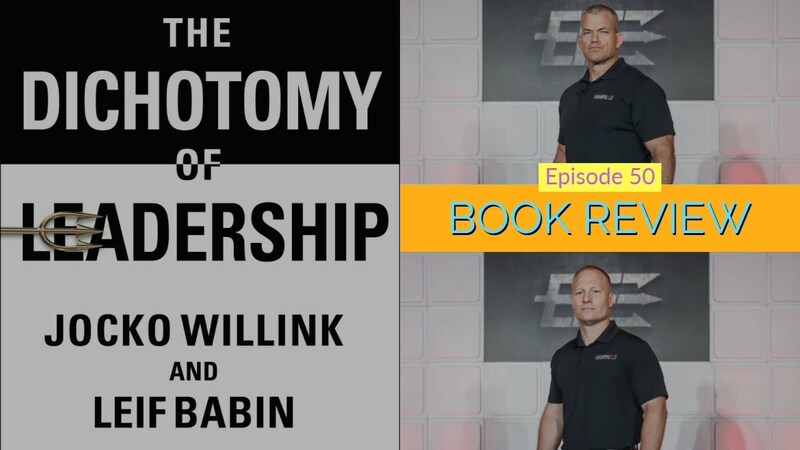 It is, as authors Jocko Willink and Leif Babin explained in their bestselling first book Extreme Ownership, “Simple, Not Easy.” Now, in The Dichotomy of Leadership, the authors explain the power inherent in the recognition of the fine line that leaders must walk, balancing between two seemingly opposite inclinations. It is with the knowledge and understanding of this balance that a leader can most effectively lead, accomplish the mission and achieve the goal of every leader and every team: Victory. Using examples from the authors' combat and training experience in the SEAL Teams and then showing how each lesson applies to business and in life, Willink and Babin reveal how the use of seemingly opposite principles—leading and following, focusing and detaching, being both aggressive and prudent—require skill, awareness, understanding, and dexterity; all attributes that can be honed. These dichotomies are inherent in many of the concepts introduced in Extreme Ownership, and integral to their proper implementation and effectiveness. Leif Babin is a former U.S. Navy SEAL officer, co-author of #1 New York Times bestseller Extreme Ownership: How U.S. Navy SEALs Lead and Win, and co-founder of Echelon Front, serving as President/COO. Echelon Front offers unmatched solutions in leadership, strategy, innovation, safety and risk mitigation, team building, and crisis management developed and proven in combat. On the podcast, Jocko (and sometimes a guest) discuss Leadership and Discipline principles from historical references and or personal experience(s). From Echelon Front: The world’s most practical leadership training is now available online. Iraq 2006: SEAL Team 3 and conventional U.S. Forces battle insurgents to take back the war-torn city of Ramadi, when a beloved teammate is struck and becomes the first Navy SEAL killed in Iraq. Faced with heartbreak, but still believing in the mission, the team rallies together to fight on.